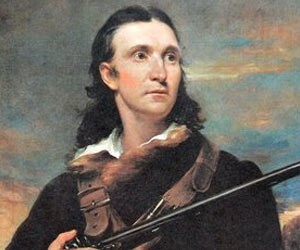 We know John James Audubon because of his brilliant paintings of American birds, paintings based on his close observation of hundreds of species during the course of years of journeys covering the entire eastern half of the continent. We know less about his manic energy, his incredible stamina, and his fondness for rather nasty practical jokes. Some of these jokes involved inexperienced fellow naturalists, who relied on Audubon to introduce them to the American wilderness. One, which he related with gusto in his Delineations of American Scenery and Character, involved convincing his companion that a skunk was a “beautiful squirrel” that would allow itself to be picked up. Another concerned a canebrake and a bear. 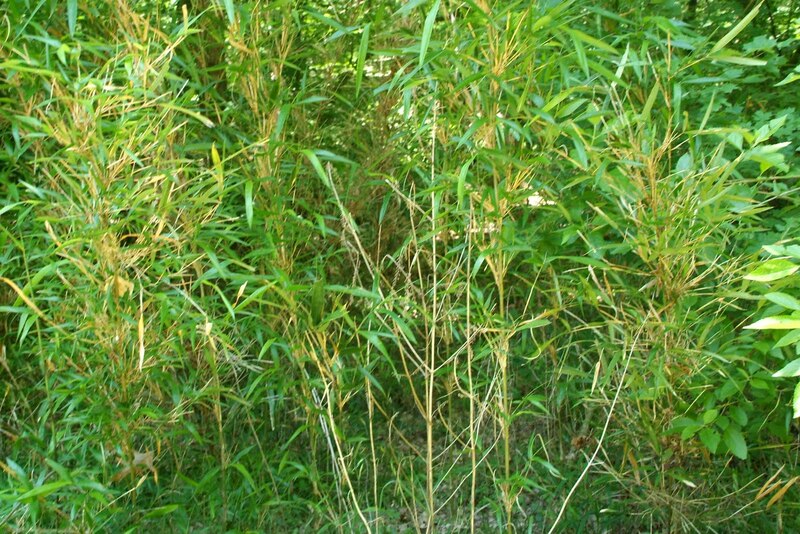 “Cane” – arundinaria gigantea – is an American variety of bamboo. 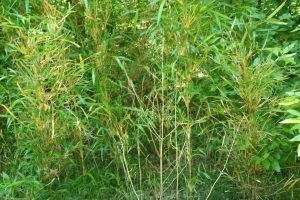 Canebrakes – dense stands of cane, often twelve to twenty feet high – once covered thousands of square miles of the South and Midwest, concentrated along the edges of rivers and marshes but also spreading out into the low-lying areas around them. The canes grew so close together, and so entwined with vines of various kinds, that it was sometimes impossible to get through them without turning around and forcing your way in backwards. Because they were a favorite food for all kinds of livestock, settlers would establish their farms nearby, slowly clearing them out as time went on. A renowned and eccentric naturalist once visited the Audubon family, and annoyed Audubon by destroying his favorite violin in an effort to kill what the naturalist thought was a new species of bat. Several days later, the naturalist expressed a particular desire to explore a canebrake. Determined to show him one “in all its perfection,” Audubon led him for several miles until they reached a fine sample. The two men pushed their way in, turning around when necessary and proceeding backwards, until they reached the crown of a large fallen tree, which turned out to conceal an angry bear. The terror-stricken naturalist ran off in such a panic that he fell and was entangled by the canes, looking so ridiculous that Audubon simply stood there laughing. The guest would happily have given up and turned back, but Audubon persuaded him that they had only a little further to go, although Audubon knew quite well that the boundary of the canebrake was two miles away. Observing “with delight” that a thunderstorm was approaching, he led the poor naturalist further into the canebrake, turning one way and then another until the man was “tumbling and crawling on his hands and knees,” and prolonging the journey until they were both soaked to the skin, and the naturalist had lightened his pockets by throwing away all the mosses and fungi that he had collected. Then Audubon led him back out to the bank of the river, and blew his horn to summon a boat to carry them home. Amazingly, the naturalist stayed with the family another three weeks, before finally disappearing one evening without saying good-bye. Search the internet today for “canebrake,” and you will find numerous pictures of rattlesnakes, one site devoted to the eradication of a toxic invasive variety of cane, and quite a few pictures of a resort hotel named after the ecosystem it replaced. You will have to search long and hard for any mention of the part this extraordinary plant once played in the American landscape.